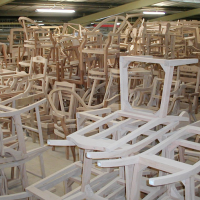 The Furniture Works are one stop shop furniture factory. 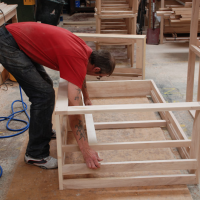 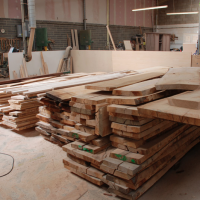 They’re well set up, fully equipped and staffed for furniture production with modern CNC kit alongside classic woodworking machinery to be able to tackle any furniture making project in house. 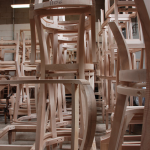 The Furniture Works is taffed by the fine furniture makers, polishers and upholsterers whose skills are diverse and wide ranging this is a factory that can handle the entire furniture making process, from CAD design to prototyping to full production runs. Their space is big enough to handle large chair runs for hotels but their quality of work is befitting one off bespoke pieces. 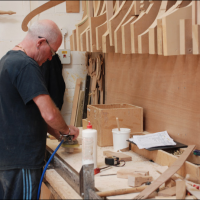 To find out more click here or get in touch with Kevin, Peter John and the team on the details below and organise a visit.